Yahtzee: Kentucky signs MJ Devonshire Jr. The University of Kentucky football coaching staff goes into Pennsylvania and reels in the four-star cornerback, MJ Devonshire‍. At one time the Aliquippa High School senior was leaning towards the Ohio State Buckeyes. There was even talk at that time of him eventually committing to the Buckeyes only to back away from that after staff changes occurred at Ohio State. As time moved forward in-state school, Pittsburgh, made the move in his recruitment becoming the heavy favorite. That all changed when Kentucky entered the mix. Here is the rundown of how MJ Devonshire’s recruitment changed when the Wildcats got involved. Coach Vince Marrow visits Devonshire on January 17th in Pennsylvania. Coach Marrow extends an offer before leaving the visit. Devonshire cancels scheduled Ole Miss official visit on January 25th and visits Kentucky instead on January 25-27th. Coach Mark Stoops goes up north for an in-home visit on January 29th. Pittsburgh coaching staff visits Devonshire in an in-home visit on January 31st. Kentucky held off the in-state school and West Virginia, who was outside looking in the entire time, as it was down to a two school race for his signature. Loney’s Take: This is a major get in a state that produces some high-level recruits every single year. 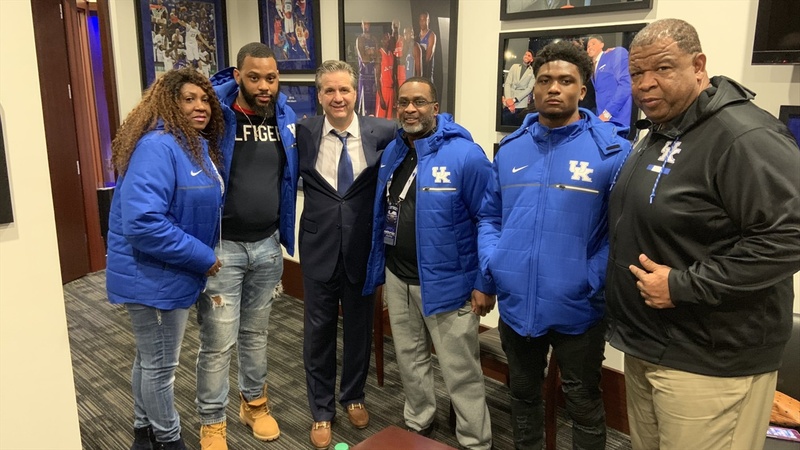 After talking with MJ Devonshire Sr. he explained to me during Coach Stoops in-home visit, the Wildcats would be expanding the recruiting base to Pennslyvania and he believed Kentucky could have some luck pulling kids down to the Bluegrass State.